Make over your bathroom into one that is contemporary and stylish by using black, white and chrome. Find chrome shower curtain hooks, a black and white shower curtain and a black bath mat for a dramatic looking tub. Mount sconces in gleaming chrome on both sides of the vanity mirror, or put up a chrome vanity fixture with multiple lights above the mirror. By using basic black and white together with bright, shining chrome, the look is modern, chic and neat. Look for S-shaped shower curtain chrome hooks that make hanging the shower curtain much easier than using o-rings. With a black and white themed décor, a black liner makes an ideal backdrop for a shower curtain in an abstract, floral or animal print design. Complement your shower curtain silver hooks and black and white curtain with a set of black and white towels, a chrome shower caddy and a pair of chrome sconces framing the vanity. Shop for a black and white soap dish, toothbrush holder and soap dispenser; buy a black wastebasket and a black and white rug set. For the ultimate in a chic modern bathroom, put down black and white floor tiles. Black and white is the ultimate contrast, and adding gleaming chrome to the mix offers decorative options that make your bathroom look contemporary and sleek. The simplicity of the colors means there are more designs available, and you never have to worry about it looking garish or tacky. 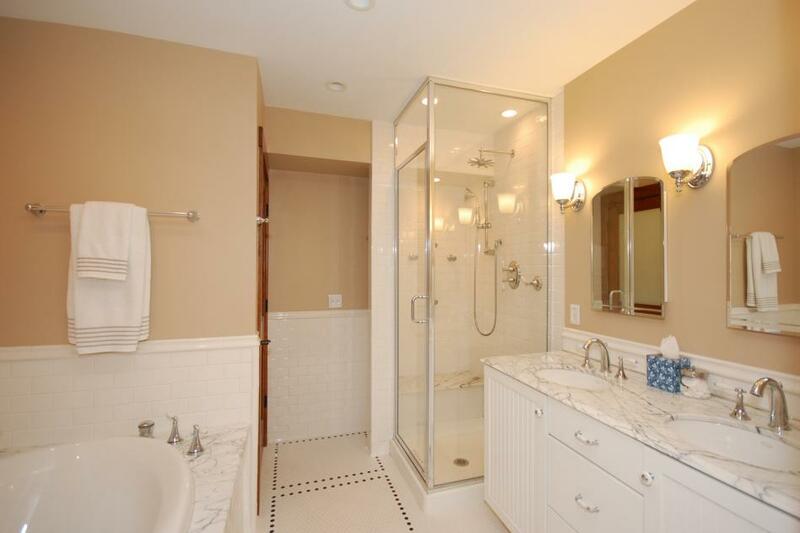 Chrome accessories, such as shower hooks and light fixtures bring brightness to the bathroom. Combining these three elements creates a visually stunning effect that is thoroughly modern.